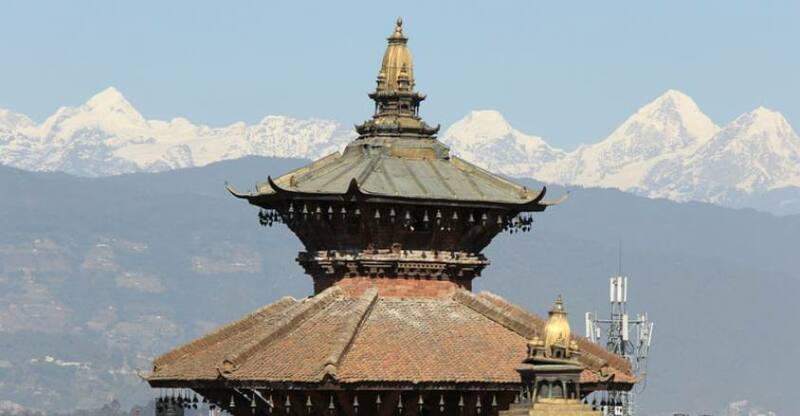 Kathmandu, the capital city of Nepal is very rich in its cultural and historical beauty. This one day tour to Kathmandu valley will give you immense satisfaction with its unique culture and the importance it possesses. We have planned this trip for you in such ways that you get the chance to visit all those cultural world heritage sites that are in Kathmandu. Alcoholic drinks and cold drinks. Kathmandu Durbar square is protected by UNESCO world heritage site. Kathmandu Durbar square (old Royal palace) which built in the 12th century. The Durbar square provides you with numerous temples, Kumari Bahal (House of Living Goddess), Kasthamandap (house of wood) and the old museum. Pashupatinath is protected by UNESCO world heritage site. Pashupatinath is the holiest Hindu pilgrimage destination in Nepal. There are linga images of Shiva along with the statues, shrine, and temples dedicated to other deities in the complex. A temple dedicated to Shiva existed at this site in 879AD. However, the present temple built by King Bhupatindra Malla in 1697AD. A gold plated roof, silver doors, and woodcarvings of the finest quality decorate the Pagoda construction. There are rows of Shiva shrines and Hindu pilgrims from all over south Asia offering(Puja)worship to Shiva tile of the lord of destruction. The Bagmati rivers follow close by and the Arya Ghat cremation grounds are there. Bouddhanath is protected by UNESCO world heritage site. 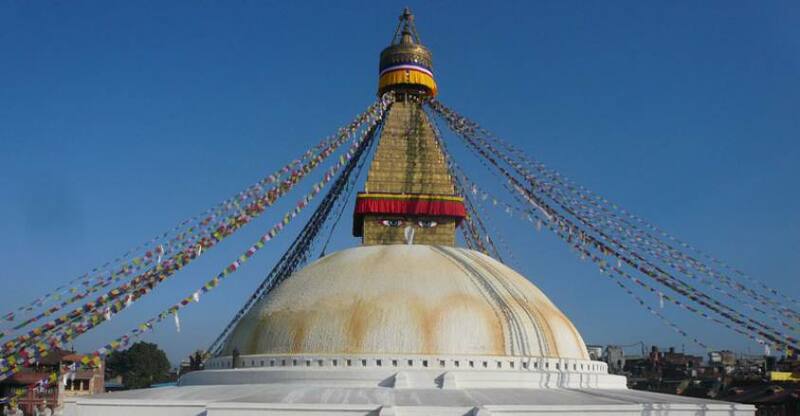 Bouddhanath is among the largest Stupas in South Asia and it has become a focal point of Tibetan Buddhism in Nepal. The white looms 36 meters overhead. 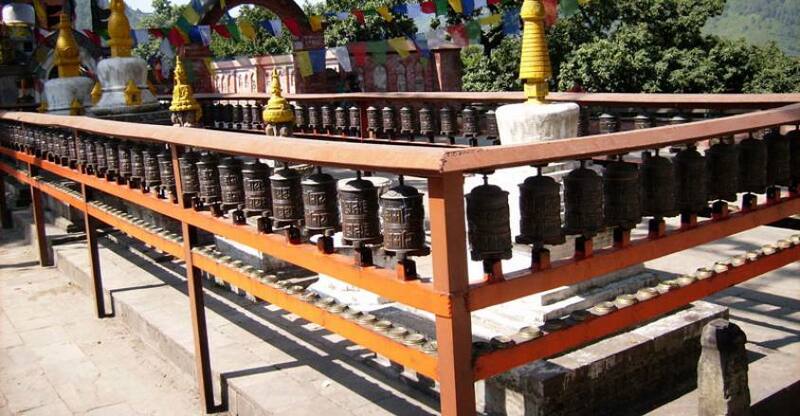 The stupa is located at the ancient trade route to Tibet and Tibetan merchants rested and offered prayers have for many centuries. When refugees entered Nepal from Tibet in the 1950 century many of them decided to live around Bouddhanath. They established many Gompas and little Tibet Nepal was born. This little Tibet still the best places in the valley to observe Tibetan lifestyle. Many people believe that Bouddhanath was constructed in the fifth century. The Bouddhanath is the visual feast of the colorful Thangkas, Tibetan jewelry hand-woven carpets; mask and Khukuri (knives) are sold in surroundings stalls. Syambhunath /Monkey Temple: Syambhunath is protected by UNESCO world heritage site. The History of the valley, according to the legends begins with Syambhunath or the self-existent in times uncharted by history, Bodhisattva Manjusiri came across a beautiful lake during his travel. he saw a lotus that emitted brilliant light at the lake center, so he cut a gorge in a southern hill and drained the waters to worship the lotus. Men settled on the bed of the lake and called it the Kathmandu valley from then on the hilltop of the self-existent lord has been a holy place. Syambhu is the major land of the valley and looks like a beacon below the Nagarjun hill. It provides excellent views of the Kathmandu valley. Kathmandu city also provides you other very famous and interesting gods and goddess temples which will take you the spiritual way. The Kathmandu city offers you the lifestyle of Newar people and them colorful festival. The below-given cost is per person and the below-given fixed departure dates are available for you. If the given date is not favorable then please contact us and we will happily customize your trip on dates more appropriate for you.